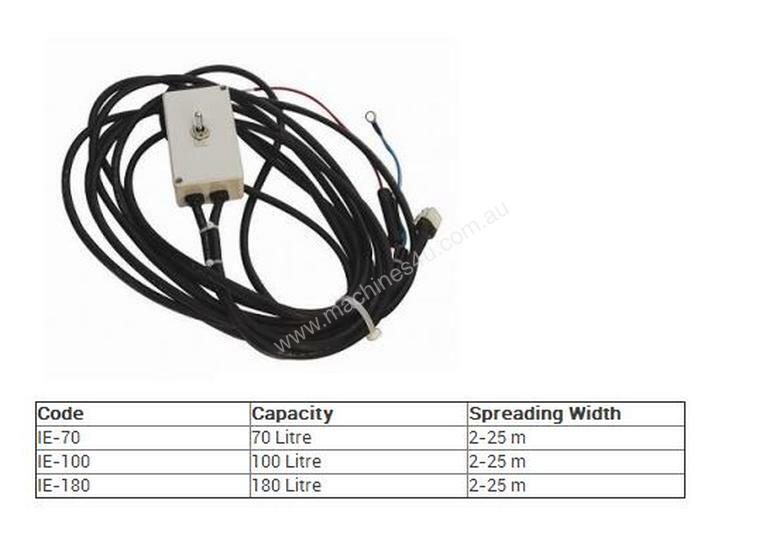 The IE Series is 12volt operated, with manual rate control. The frame, spinner & distribution unit are all Stainless Steel. 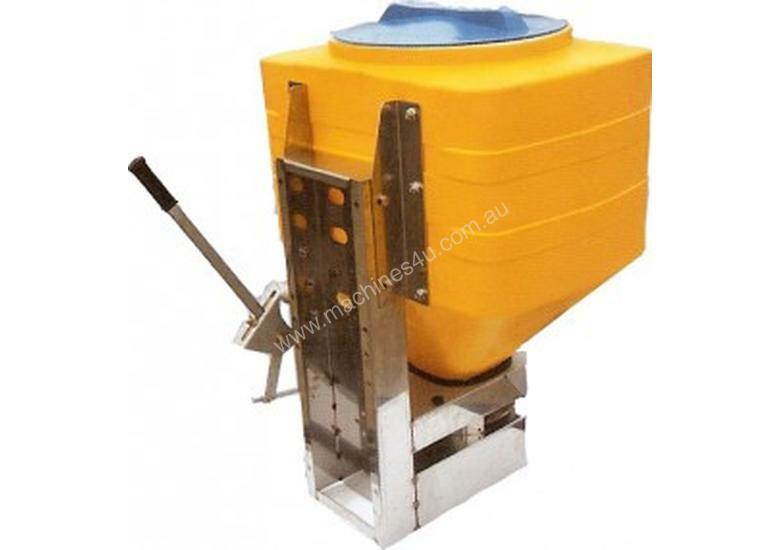 The Poly hopper is available in 3 sizes. 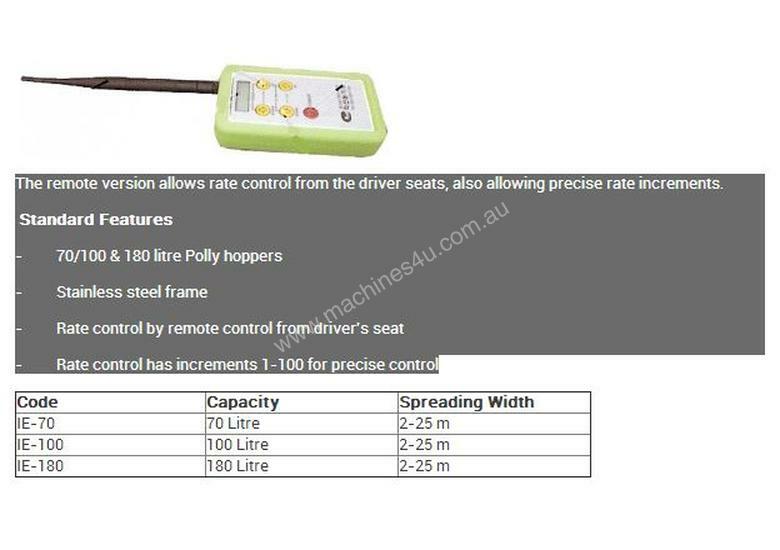 The remote version allows rate control from the driver seats, also allowing precise rate increments.